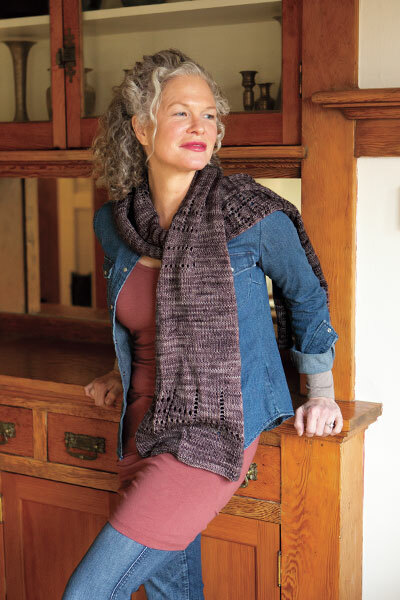 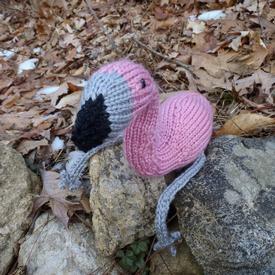 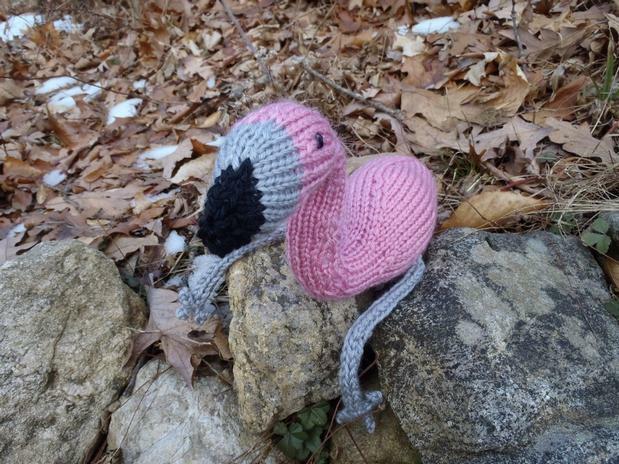 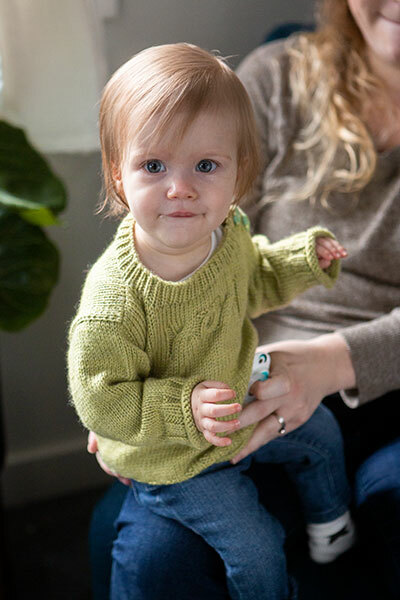 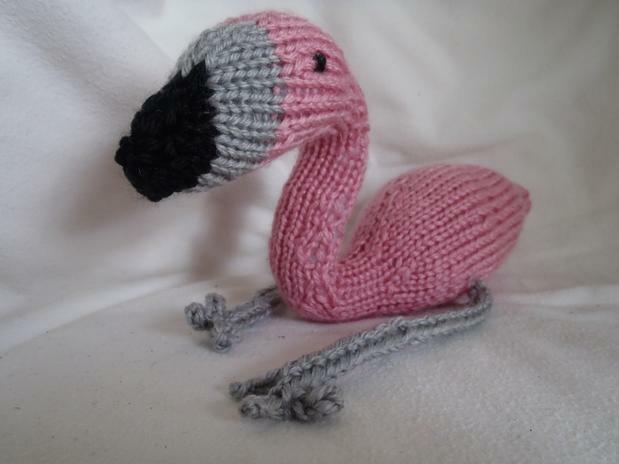 This adorable flamingo is knit in the round in one piece with some short row shaping for the neck. 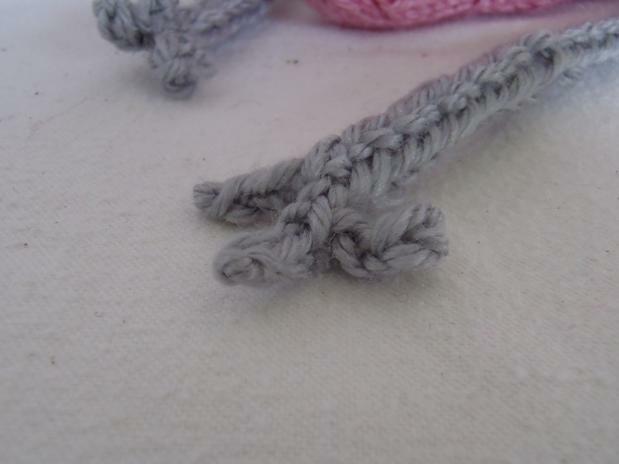 The two legs are worked separately and sewn on. 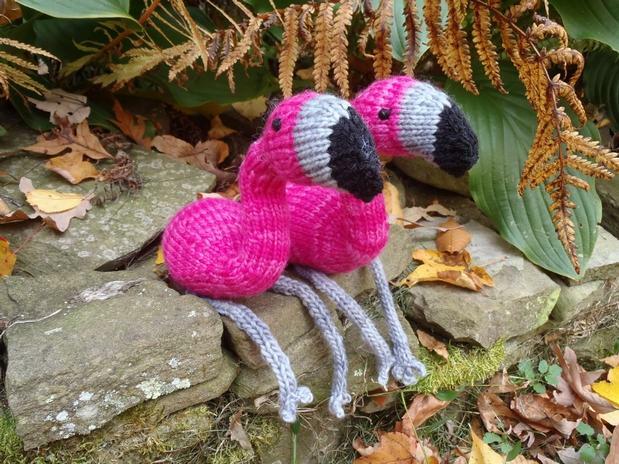 Make one, or two or a whole flock of them.